This Queen Village mansion was formerly owned by the president of a Philadelphia billboard company, Terry Steen of Steen Outdoor Advertising. 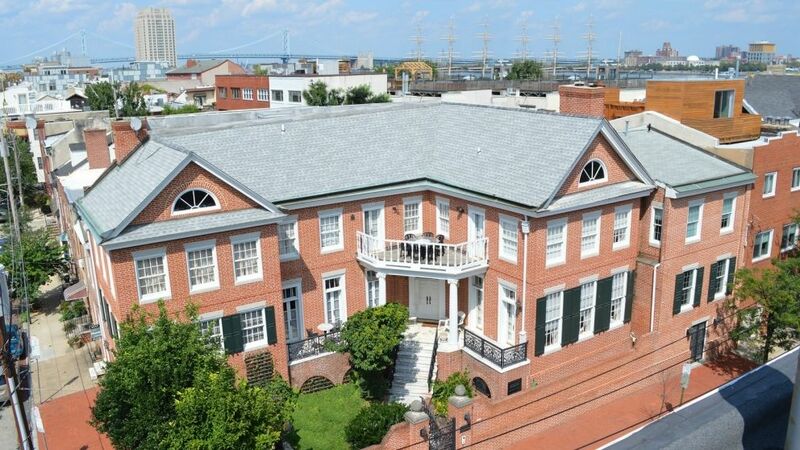 After his passing in May, his family decided to give up this 7,000-square-foot home at 113-121 Bainbridge St. The property was last listed from April to November 2015 and has been off the market since until last week when it was announced it would go to auction in October. The five-bedroom, five-bath house includes a wall and gates surrounding the property and includes a three-car garage. Inside the house, there is stained glass, marble, chandeliers and a roof desk with a hot tub accessible by elevator. Previously asking $2,600,000, the property is now guaranteed to sell at or above the minimum bid of $850,000. The auction is scheduled for Oct. 10 at 6:00 p.m. at the Hilton at Penn’s Landing. Tours of the mansion will be available on Sept. 17, 20 and Oct. 1. All tours are from noon – 2:00 p.m. Interested parties can speak with Bob Dann at rdann@maxspann.com.